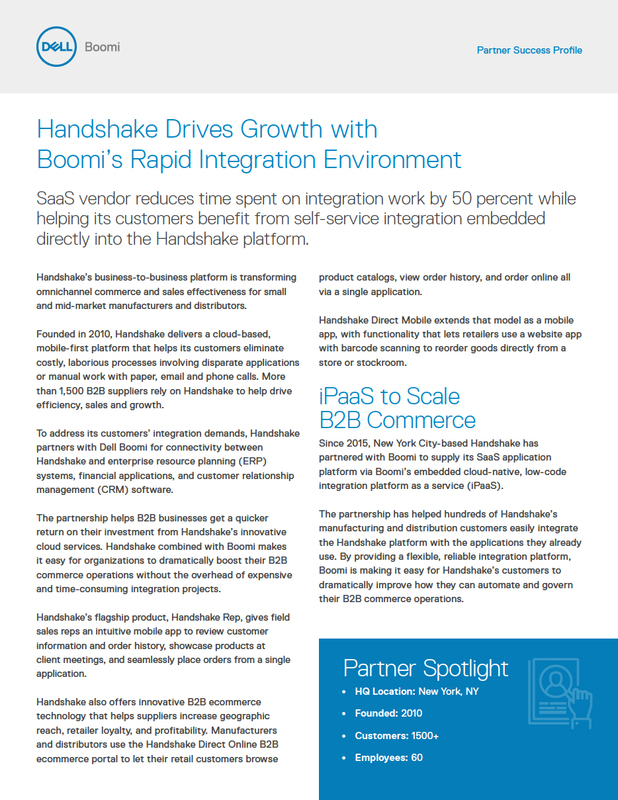 Handshake is the B2B Commerce platform that helps manufacturers and distributors grow their business by making it easy for their customers to order the right products from them, in-person and online. The Handshake platform makes buying and selling simple, intuitive and mobile. Sales reps and their customers can rapidly place orders on any device, anywhere, anytime.